The rich, coastal province of Zhejiang is also known as the 'Land of Rice and Fish' as these are its main crop. 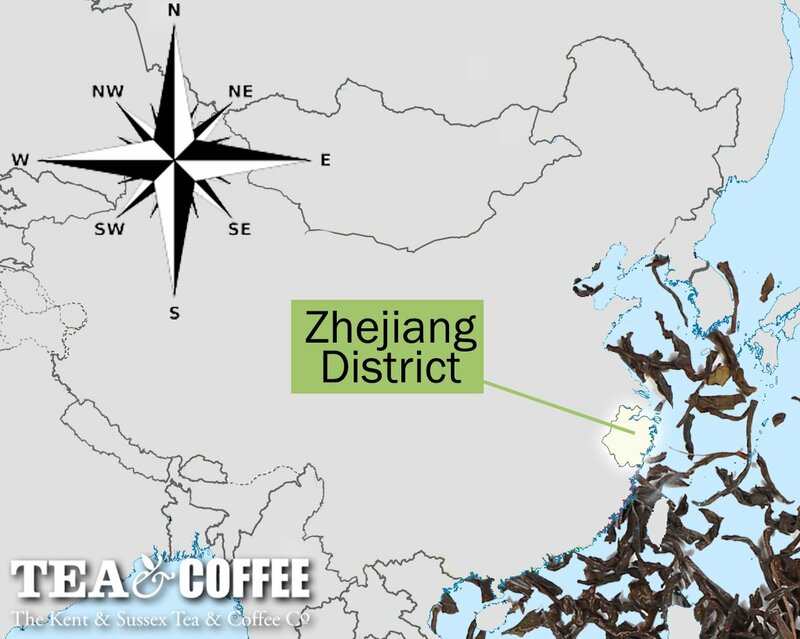 Zhejiang is also the lead producer of Tea in China and produces mainly Green Teas with a mainly moist, sub tropical climate and soil which is rich in minerals. The name derives from the Zhe River, meaning 'crooked' or 'bent' River. Their main production includes high quality vintages made by traditional methods, the towns are renowned for their hand crafted production such as Dragon Well Tea (Longjing Tea) and Gunpowder Tea. Differentiating qualities of these two Teas are due to the diverse plains of the province, with some Teas being grown in the mountains for a higher quality and other being grown on the flats, where the industrial Teas are grown.